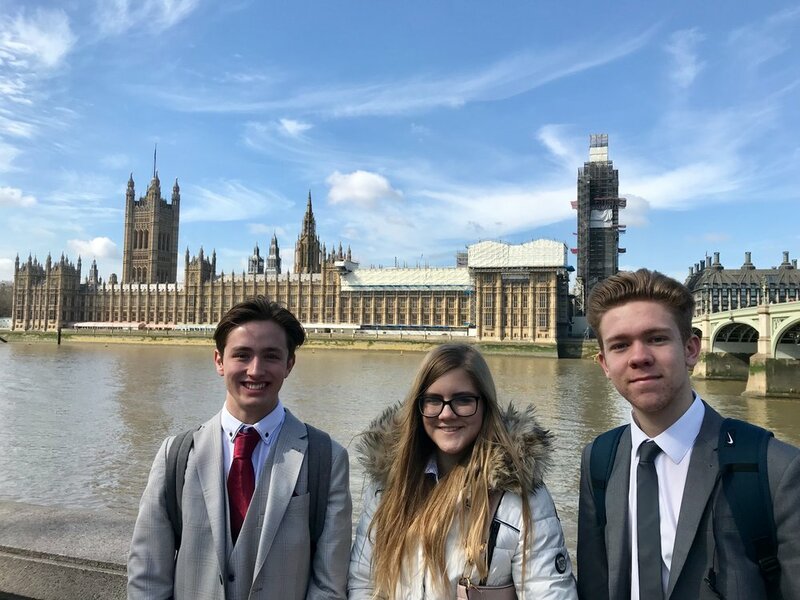 Three students enjoyed a privileged visit to the Houses of Parliament yesterday, organised by our chair of governors, Rod Edwards. 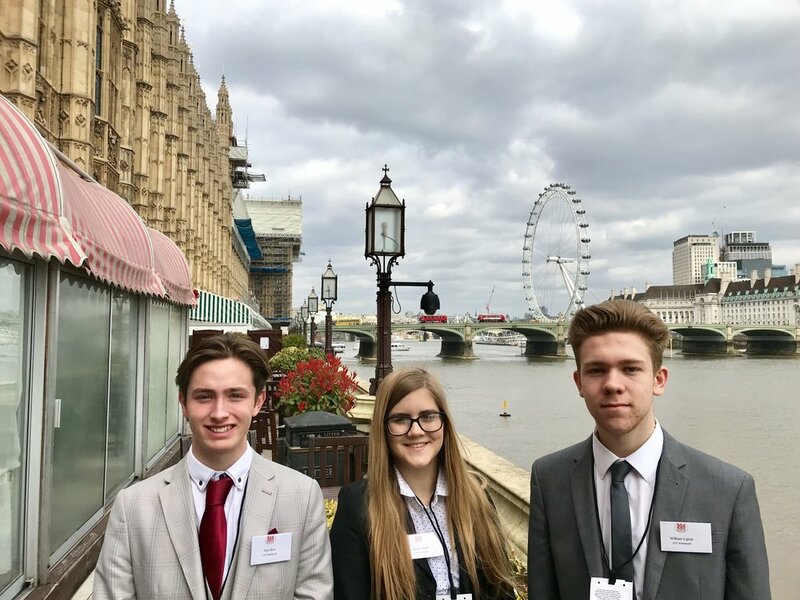 The students attended a lunch debate of the All Party Parliamentary Group for Engineering, chaired by Professor the Lords Broers. The topic was; The Use of Hydrogen for the supply, storage and distribution of energy. The debate looked at the different energy uses of hydrogen from cars and trains to the home. There were also three distinguished guest speakers the students were able to listen to; Hugo Spowers of Riversimple, Jon Saltmarsh from the Department for Business, Energy and Industrial Strategy (BEIS) and Mike Maldoon of Alstom. Before heading off to the House of Lords for the debate, the students enjoyed a personal tour of the House of Commons by Stephen Morgan MP. All three had a fantastic visit and were very appreciative of having such an amazing opportunity, especially at a time when so much is happening in Parliament.